Every four years, we all get to celebrate the best in winter sports, and this week in Sochi, the Olympics will host some of the most incredible winter athletes in the world on the biggest stage in sports. It's going to be amazing. But with that also comes the sobering opportunity to remember that if we don't look beyond the next four years, the Games as we know them might be a thing of the past. In a recent study conducted by Dr. Daniel Scott, the data shows that with additional warming projected for later decades of this century, as few as six former host locations would remain climatically suitable. It's pretty clear that the International Olympic Committee (IOC) is going to need to rethink the host cities of the future. This past year, we've been training in places that have relied entirely on snowmaking, with locations changing and events cancelled. Winters are certainly changing, and despite the (thankfully) decent snow conditions in Sochi now, this long-term trend just can't be ignored. Protect Our Winters (POW) is a global environmental nonprofit focused on uniting and mobilizing the 65 million-member global snow sports community to fight climate change. To the pro athletes who spend our lives outdoors, it is clear that climate change is very real, and it's already taking its toll on the social and economic infrastructure that depends on consistent winters and snowpack. 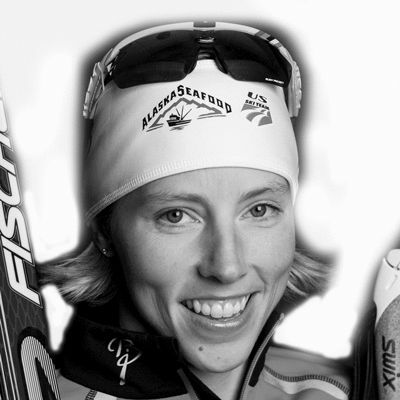 At Protect Our Winters' core are the pro athletes and Olympians who are committed to taking action together. The POW Riders Alliance is made up of 53 of the top snow sports athletes, committed to fighting climate change. It's a group of the most influential athletes in winter sports, and if we're going to create a social movement in winter sports against climate change, the responsibility falls on us -- to speak out, to teach the youth who look up to us, to influence the media who listen to us and to leverage our reach and connections to mobilize millions. We've joined POW because we realize that we have a platform to speak out about the changes we're seeing, to raise awareness, and to influence change, and because we realize that as one, we can truly make a difference. Next year in Paris, world leaders will be gathering once again to try to iron out a plan to reduce global emissions and fight climate change. Despite failed attempts to find common ground and an agreement over the past few years at meetings in Copenhagen and Doha, we need to start the dialogue now. There is too much at stake to miss another opportunity. So with more than 100 fellow 2014 Winter Olympians, we"ve signed a letter started by U.S. Olympian Andrew Newell and POW asking world leaders to "recognize climate change by reducing emissions, embracing clean energy and preparing a commitment to a global agreement at the UN Framework Convention on Climate Change in Paris 2015." This week, the eyes of the world will be on Sochi. We can also use this gathering of the global community and this grand sporting stage to call attention to an issue that needs worldwide attention. If not now, when? If not us, who? This post is part of a series produced by The Huffington Post in conjunction with the Sochi 2014 Olympics. The series is part of our Impact Sports initiative, which examines the intersection of sports and social good. Many of the posts in this series critique the Russian government's draconian anti-LGBT laws, though other topics include climate change and censorship. Read all the posts in the series here.